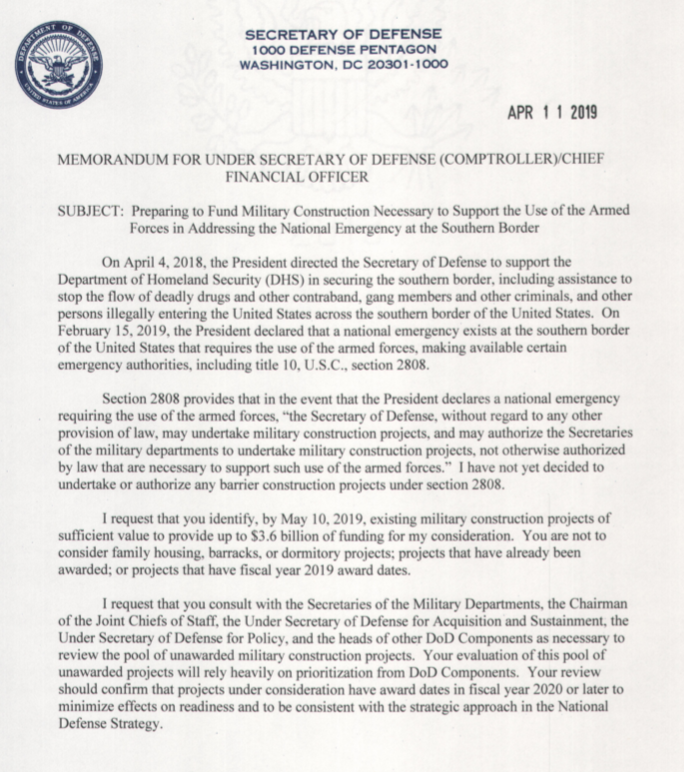 The memo, which mentions that Shanahan has "not yet decided to undertake or authorize" border wall construction under the president's emergency declaration, directed McCusker to consult with the military service secretaries, chairman of the Joint Chiefs, and other senior Pentagon officials to look at the "pool of unawarded military construction projects" and prioritize which ones could potentially be used. "Your review should confirm that projects under consideration have award dates in fiscal year 2020 or later to minimize effects on readiness and to be consistent with the strategic approach in the National Defense Strategy," Shanahan wrote. 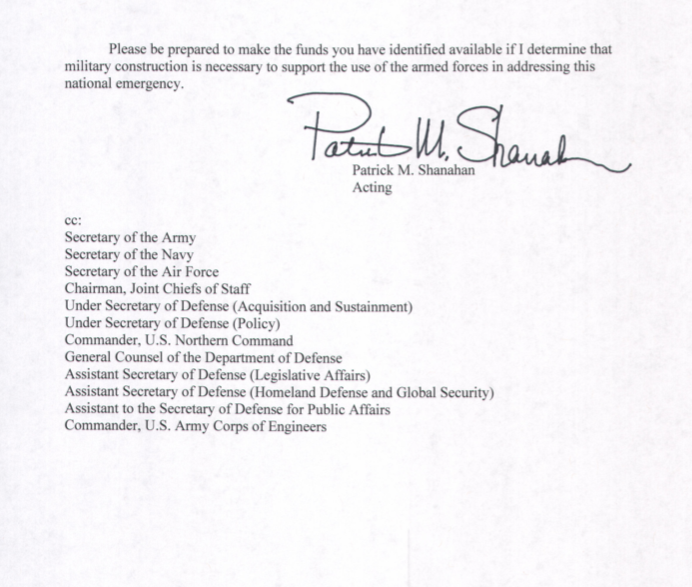 When President Donald Trump declared a national emergency on Feb. 15, he provided the legal authority under Section 2808 of Title 10 of the U.S. Code for the Pentagon to use the military construction money for other projects "that are necessary to support such use of the armed forces," Shananan wrote. Although Shanahan has not yet decided whether to use the money for border barriers, the fact that he is asking the Pentagon's comptroller to come up with a list of projects that could be defunded indicates he is likely to decide the border wall is necessary to support the military. 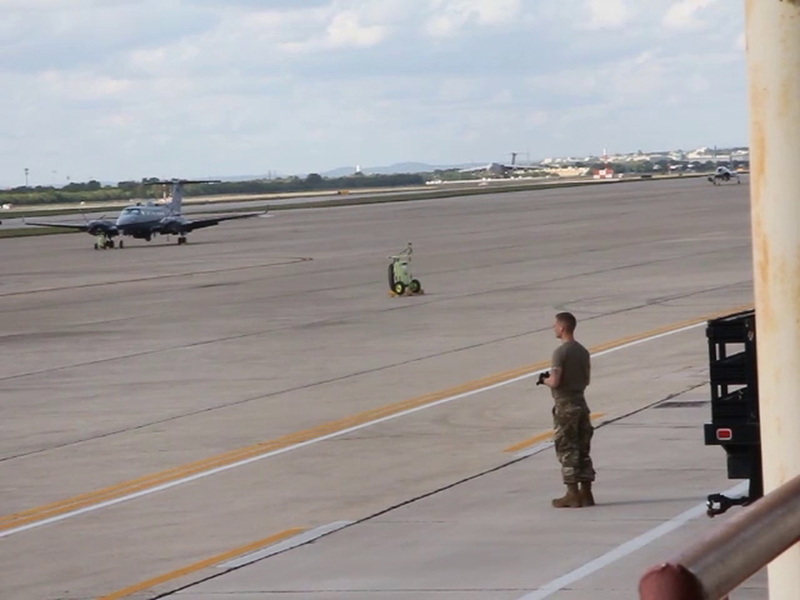 "We're going through a filter to ensure that nothing impacts lethality and readiness on the part of our military construction budget, which is a budget that's substantially larger than $3.6 billion," a senior administration official told reporters on Feb. 15. Still, the use of funds under Section 2808 is "likely to be vigorously litigated," according to a February report from the Congressional Research Service. Lawmakers have repeatedly pressed Shanahan on what military construction projects are at risk of being redirected to wall construction following Trump's February declaration of a national emergency, which he said allowed him to take $3.6 billion from military construction projects and another $2.5 billion from counter narcotics funding to pay for the border wall. Previously, the Pentagon provided Congress with a list of every single military construction project that has yet to be awarded a contract — including those that are exempt from being used to pay for the border wall. The confusing 21-page list amounted to upwards of $6.7 billion in projects around the country. Separately, the Army has awarded nearly $1 billion in contracts for 57 miles of border barriers. That money comes from counter narcotics funds, of which a large part comes from unused Army personnel money.